Due to the nature of health care, nursing workplaces can be stressful, feel overwhelming, and even take on a negative energy if you don’t guard against it. This creates tension not only among nurses, but also patients. Thus, it is important for nurses to remember that we have the power—and the responsibility—to create a more positive work environment. You may have heard it said, “A person who feels appreciated will always do more than what is expected.” Be sure to recognize others for contributing to your success and accomplishments. By showing them you appreciate their hard work and contributions, you establish respect and provide a sense of worth for your co-workers. Well-placed, simple “thank yous” can really go a long way in creating a more positive work environment. Rather than expecting everyone to do it all, maximize your team’s efforts by identifying and utilizing each co-worker’s strengths. For example, if you excel at calming disoriented patients and your co-worker is a master at explaining things to upset family members, you should plan to work together to quickly and effectively manage the situation. Be sure to share your strengths with your team, and give validation to other nurses for theirs. Conflicts or disagreements will occur from time to time, and it is important that you do not make a bigger deal of them than necessary. Be the cooler head, the bigger person—whatever you want to call it. There are higher priorities right under all of your noses. At the same time, remain open to constructive criticism from other nurses—you can turn these into valuable learning experiences that can improve your practice. Being a nurse is not about individual egos, but working together to achieve the best solutions and quality care for your patients. Instead of simply venting with other nurses about issues that arise on the job, try to find solutions to rectify ongoing problems. By suggesting ways to resolve issues in daily meetings, or by submitting a formal request to management, you will help create a more positive work environment rather than adding to the tension. Nothing sends a stronger message to your fellow nurses and supervisors than your actions. 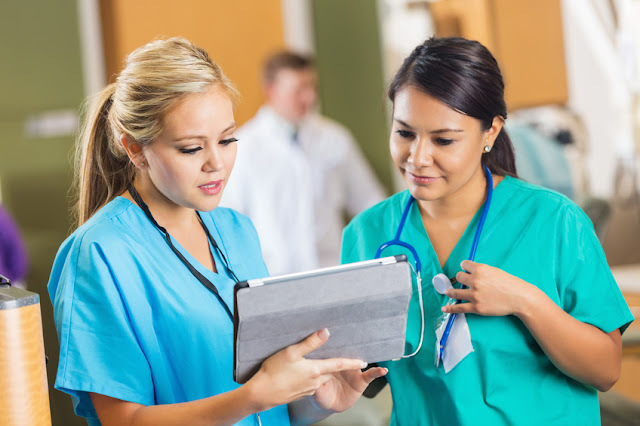 If you consistently demonstrate professionalism, effective communication, prudent nursing practice, teamwork, and accountability, you will set the tone for how others should follow. No matter what level of experience you may have, it is never too soon to be a positive role model for your colleagues.